This group has seen the slowest turnover in sales. While earlier on the decade there were multiple sales per year, since 2004 there has only been one data point per year (and none in 2008). This helps explain the last two sales in 2009 and 2010. The 2009 sale was unit 905 which had a very high quality renovation compared with 1Q11's sale of 609 which essentially still had its original 1960s kitchen and bathroom. 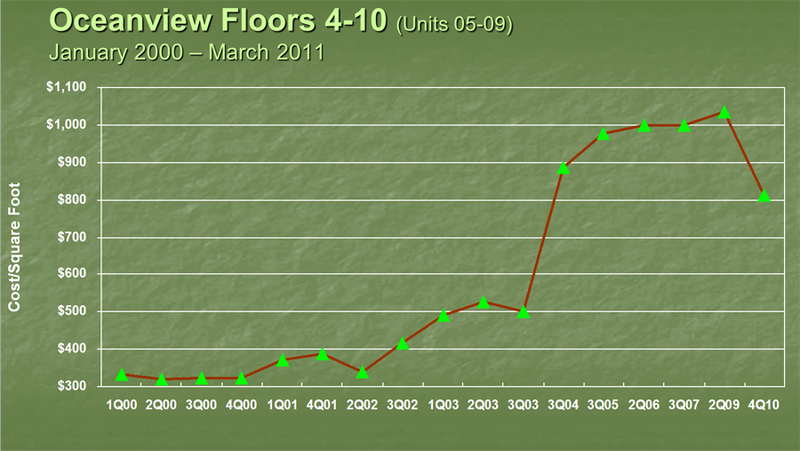 While 40% of the units in the group are the smaller studios there has been just one sold in the past ten years.